St Helens Trio are set to officiate the Rugby AM NCL live fixture on Free Sports this weekend. Craig Smith, after Touch Judging Super League on Sky Sports in Catalans on Easter Monday, will make his Refereeing TV debut on Saturday when Leigh Miners take on Ince Rose Bridge in the National Conference League Division 1 clash. Craig will Referee the game with Society members Ryan Cox & Mackenzie Maddison as Touch Judges. The game will be broadcasted live on Free Sports from 5 pm (Freeview channel: 95, Sky channel: 424, Freesat channel: 252). 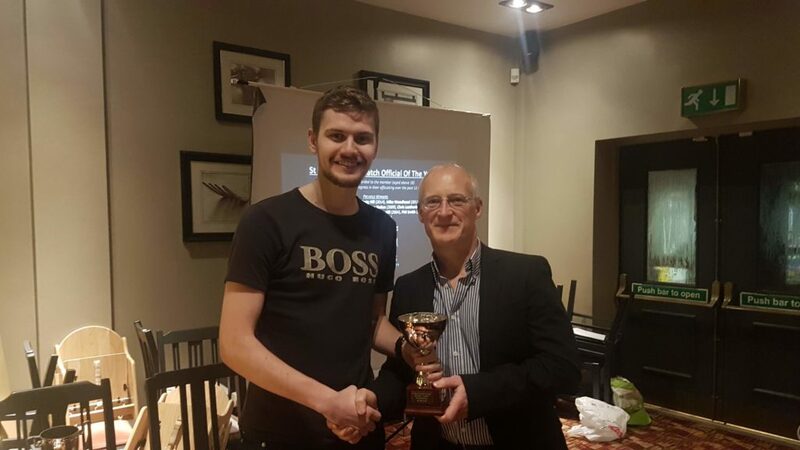 Craig receiving the Society Match Official of the year award at the end of the 2017 season. 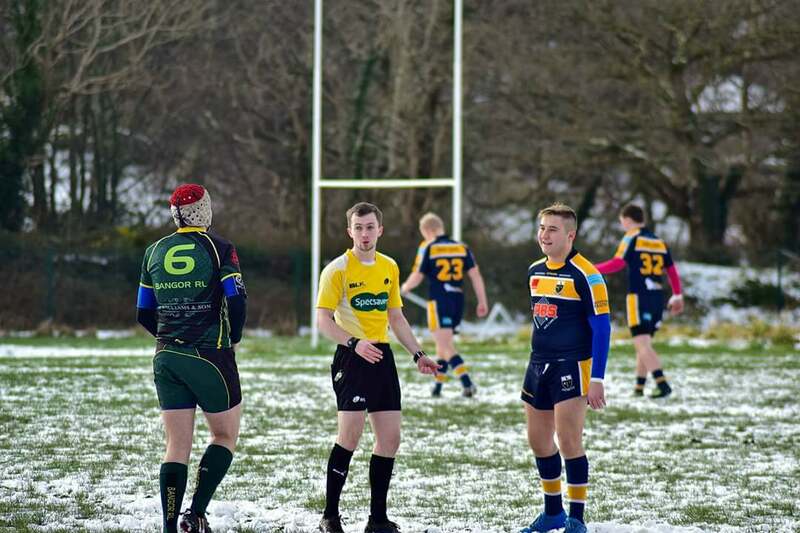 Other National Conference League appointments see Jamie Barr Refereeing the repeat of last year’s NCL grand final – Siddal v Thatto Heath Crusaders. Denton Arnold will take charge of Wigan St Patricks v West Hull in the Premier Division, with members Innes Arnold & Stuart Fraser on the line. 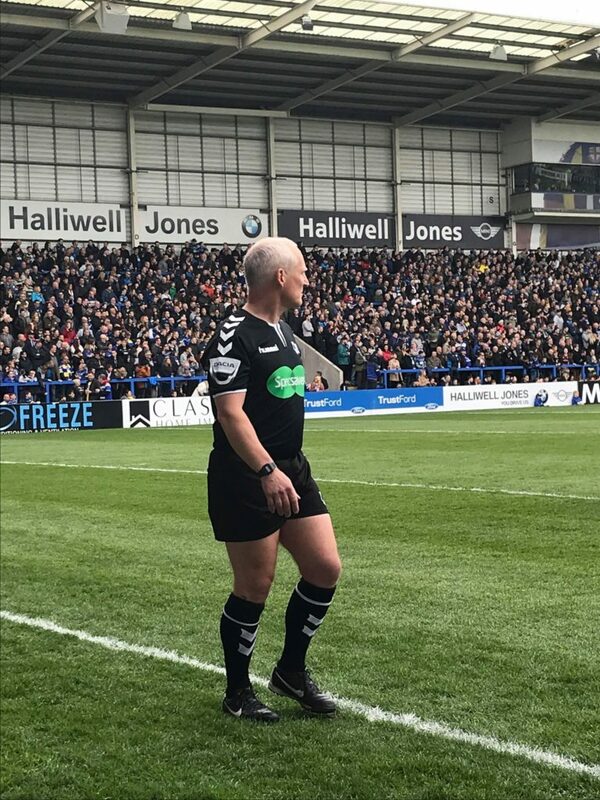 Innes made his Super League on-field debut on Good Friday as In-Goal Judge at Warrington Wolves v Widnes Vikings. Tolver Arnold will be in the middle for the Division 2 game, Wigan St Judes v Leigh East and Shaun Pickering will Touch Judge Clock Face Miners v Oldham St Annes in Division 3. Adam Johnson is set to make his Open Age debut when he Referees Thatto Heath Crusaders B v Higginshaw in MWML Division 5. Another big weekend for our members, good luck to all!